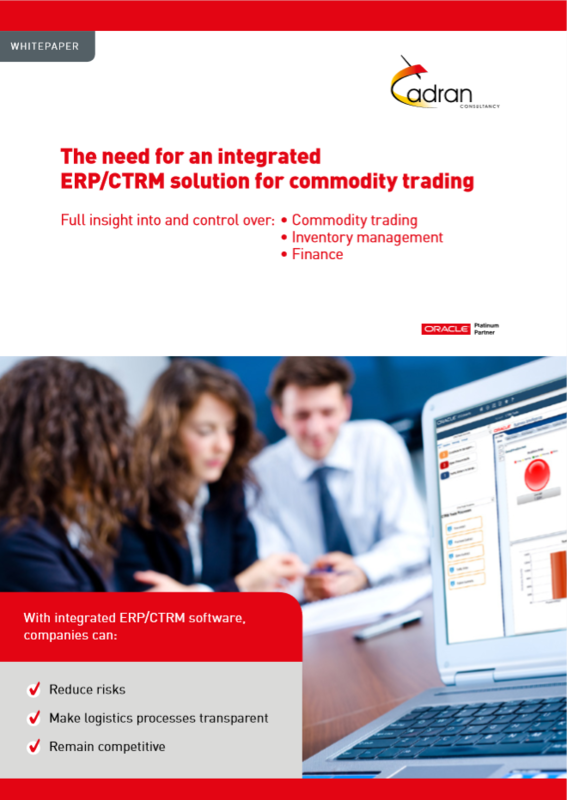 Integrated CTRM solution for Commodity Trading? Support your end-to-end contract-to-cash processes? Gain realtime and overall insight into margins, positions, risks and supply chain performance? Read this white paper and you’ll be informed about the importance of an integrated ERP/CTRM solution for companies that work with commodities. With an integrated solution, companies can manage their risks and make their logistics processes transparent resulting in competitive advantage. Facing unpredictable price fluctuations, M&A, complex rules and regulations and very demanding customers, commodity traders are in need of a software solution that provides seamless integration, flexibility and insight to provide the highest service possible while maintaining or even improving margins. Click here to go the commodity trading page.